YYN Series General Purpose Sheathed RTD with Lead Wires. The resistance temperature detectors in the YYN series provide stable temperature measurement thanks to their platinum resistor. 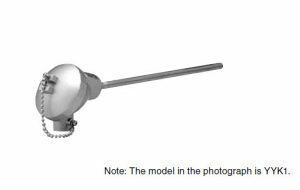 Compared to the thermocouple sensors, the detectors in the YYN series are suitable for measurement in a lower temperature range.